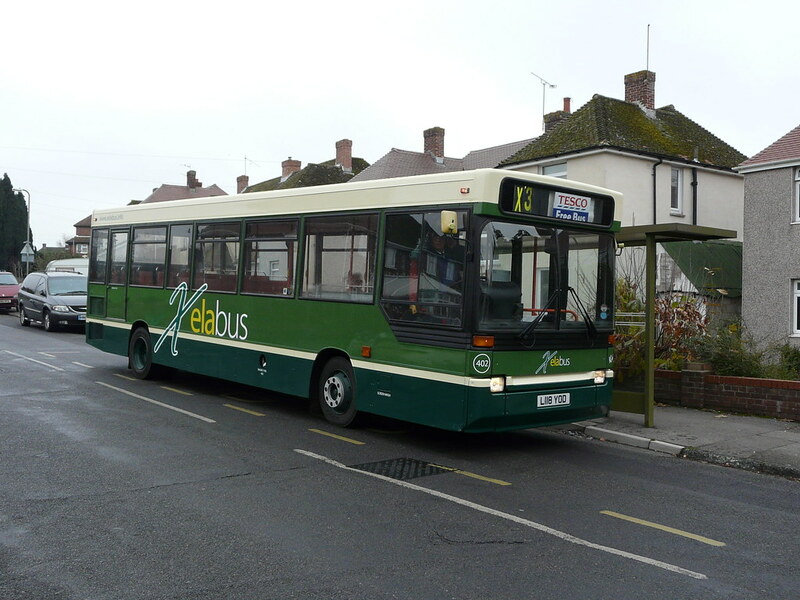 Former Plymouth Citybus 118 L118YOD is now enjoying a new life on the South Coast with Xelabus. Thanks to her new owners and Andrew Wickham we can bring you a photo of her in her smart new livery. ©Xelabus. If you follow the excellent Omnibuses blog (often featured in the links below most postings) you will recognise the livery as it was featured there a day or so ago. Spotted ex-plymouth CityBus L125 YOD now painted royal blue, parked in the corner of Plympton Fire Station today (04/01/11), didn't have the camera with me unfortunately. 125 was donated to the Police for use as a 'youth / community' vehicle and is decked out with seating and flat screen tv's and dvd players (a company in Essex did the conversion). An issue over driving the vehicle then materialised along with the servicing of the vehicle (to comply with the tax exempt and MOT exempt legislation the Police are able to utilise) and it was decided, no doubt weighted by the current financial constraints on the Police, that DSFRS would be best placed to jointly share it and as their drivers are HGV trained etc.